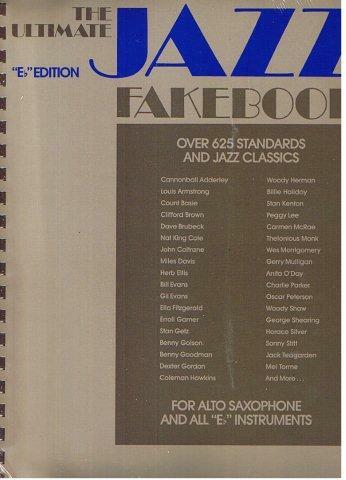 This must-own collection includes 635 songs spanning all jazz styles from more than 9 decades � from traditional to swing to modern jazz, carefully chosen chords with common practice chord substitutions, lyrics to accomodate vocalists, easy-to-read music, and composer and performer indexes. Over 625 songs including standards by legends such as George Gershwin, Cole Porter and Richard Rogers and Jazz Classics by giants such as Miles Davis, Charlie Parker, John Coltrane, Gil Evans, Wayne Shorter, and Thelonious Monk. Large, spiral bound book is available in 3 versions for C, Bb and Eb instruments. � Have You Met Miss Jones? � Let It Snow! Let It Snow! Let It Snow! � What Kind Of Fool Am I? � Why Do I Love You?